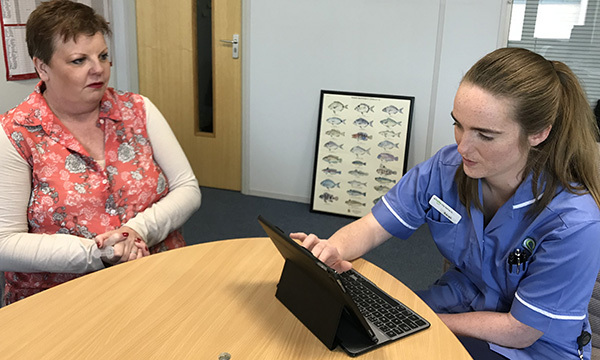 Patients living with cancer in Merseyside and Cheshire are benefiting from a pioneering service that enables them to receive treatment at work. The nurse-led initiative is run by the Clatterbridge Cancer Centre in Merseyside and is an extension to the Clatterbridge in the Community service. ‘Our aim is to make the treatment journey as smooth as possible for all of our patients,’ says general manager for chemotherapy services at the Clatterbridge Cancer Centre NHS Foundation Trust, Frances Yip. Clatterbridge in the Community has been running since 2014. It enables suitable patients to receive chemotherapy and other treatments, such as immunotherapies, at home or in community locations. About 20 patients receive intravenous immunotherapy treatment at home. Nurse-led chemotherapy clinics also run across seven district hospitals in Merseyside and Cheshire. The service runs from Monday to Friday and is delivered by a team of five specialist chemotherapy nurses, including lead nurse Dorothy Probert. ‘Although the vast majority of our patients have breast cancer, we also look after patients with metastatic melanomas, non-small cell lung cancer and neuroendocrine tumours,’ says Ms Probert. Treatment at work was introduced in January and is offered to suitable patients receiving herceptin (trastuzumab) or other treatments that are delivered by subcutaneous injection. So far, seven patients have received treatment at work. ‘Towards the end of last year, we noticed that several of our cancer patients who were eligible to receive their treatment at home had to decline the option because they were returning to work,’ says assistant manager for chemotherapy services Aimee Davies. ‘We decided to develop and set up this new initiative to allow patients to access their herceptin cancer treatment in their place of work. Workplace locations have varied from a wig shop, a library and a seafood distribution warehouse to a few office settings. For the nursing team, providing treatment in a range of workplace settings is proving to be a positive experience. ‘We are used to going into patients’ homes to provide treatment, so this has been completely different for us but it is really good,’ says Ms Probert. ‘It is such a positive move that we have started to develop the service further. We are so pleased that patients are happy with the care that they receive in the workplace. 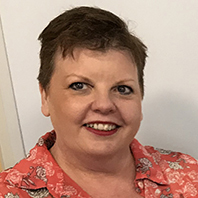 ‘We would like to offer all of the treatments that we currently provide in our community settings in the workplace such as immunotherapies,’ adds Ms Probert. As soon as patients express an interest in receiving their treatment at work, the team ask for details of the patient’s line manager and their workplace address. Documentation is sent to the patient and is completed alongside their line manager. The employer is asked to confirm that there is a suitable clean area where treatment can be administered and where staff can wash their hands. Employers are also asked to confirm that there are no potential hazards, and that there is access and parking available for the attending nurse. Employers have been overwhelmingly supportive. ‘Patients receive a call around a week before we are due to see them for their first treatment at work and this will advise them of their time slot,’ says Ms Davies. Most patients the team sees are working and would previously have had to take time off to receive their treatment at one of the nurse-led chemotherapy clinics. This approach benefits both patient and employer. Gerry Williams, 53, from Mossley Hill in Liverpool, was diagnosed with breast cancer in February 2017. Ms Williams had a course of chemotherapy before a lumpectomy and then three weeks of radiotherapy. 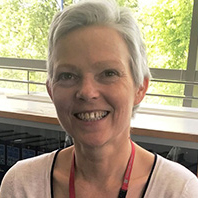 She was keen to get back to normal as soon as she could, and this included returning to work as a senior librarian for children and young people in Knowsley. Ms Williams was thrilled when she was offered the chance to receive herceptin injections at work. ‘I think the service is a brilliant idea. I was keen to get my treatment at work once I was ready to do so,’ she says. Glen Crisp, 50, from Warrington, was diagnosed with breast cancer in February 2017. Ms Crisp received her herceptin injections at M&J Seafood in Birchwood, Warrington, where she works in accounts.